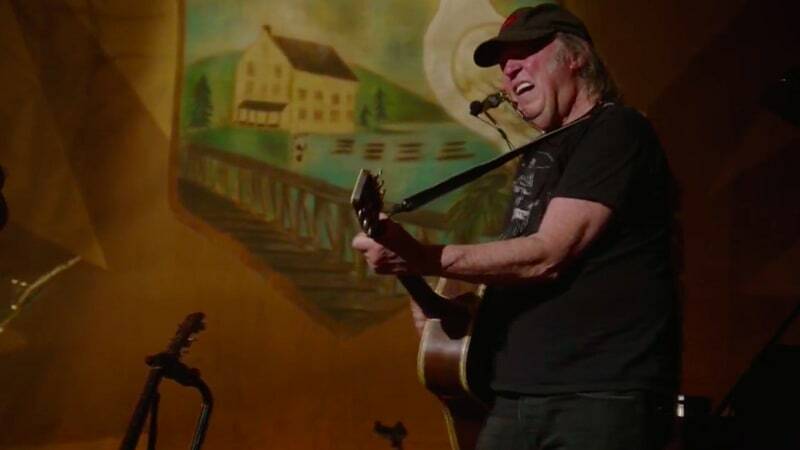 Neil Young's hometown concert last month has benefited the local Omemee school music program to expand by raising over $15,000. 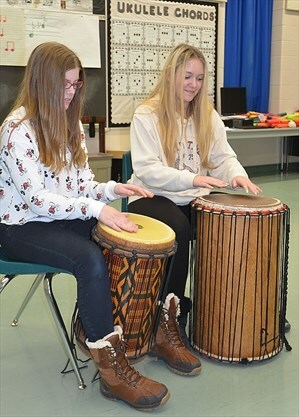 Scott Young Public School has received a significant boost to its music program budget, but it’s come from an unusual source. Last fall, principal Carrie Pilgrim was contacted by members of Neil Young’s management regarding the Canadian music icon’s Somewhere in Canada concert. The school is named after Young's father. “We talked about the concert and how Neil wanted the proceeds of ticket and t-shirt sales to go to our music program,” said Pilgrim of the concert held Dec. 1 at Coronation Hall that ‘raised’ $15,221. As an added bonus to the musical windfall, students had the opportunity to meet Young’s partner, actress Daryl Hanna, when she stopped by the school prior to the concert. “She was so gracious. She posed for photos with the students and really enjoyed it when they played Jingle Bells for her,” said Pilgrim. See full article at Neil Young concert helps Omemee school expand music program | MyKawartha by Catherine Whitnall. More on Neil Young's "Somewhere In Canada" Concert. Also, see Neil Young: Humanitarian Rebel With Causes. Good stuff, but surely petty cash for ole Neil ? Thanks for sharing, Thrasher. Good to know our money went directly to helping school kids learn and play music. What could be better? Loved the show too. Even just watching the live stream, I felt this was a special event. Still hoping for tour this year! @SH - Happy New Year! Good to see you, it's been awhile. Checked out your YT & Twitter the other day and see you're still spinning the black circle. Yes, it is great to see that Neil's efforts are helping out the kids locally. Nothing petty whatsoever with this benefit. Seems like a win-win-win all the way around. And ye4ah, we're supposed to get a POTR tour this summer. Hopefully announcements early Spring?! I find it hard to beleive that such a small amount was raised. Wow want a low amount. There was a heap of people watch the live feed...did they not donate? Think it would of raise considerably more if no live feed. And put out blueray/dvd or a pay to view.Say $10 a viewing.. $150k should of been. Groovy! I wish I could be there!